Visiting restaurants and bars by boat is not just for those seaside shacks on the Gulf beaches! In Tampa, there are all kinds of places to park your boat outside and grab a drink or a bite to eat. 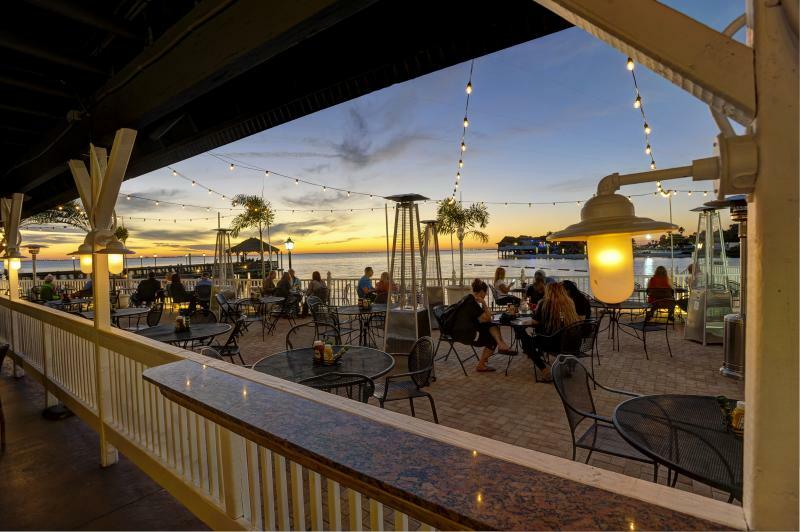 From some of the city's finest restaurants to sleepy neighborhood watering holes, and from Rocky Point to Downtown Tampa to the Southshore, here are some of the best restaurants by boat in Tampa that you can access from sea-faring craft in the 813area. Visiting a downtown Tampa boat restaurant can be tricky, because many of the boat slips and docks are private and have to be leased on a per-month basis. But the Tampa Marriott Waterside Hotel & Marina offers nightly boat slip rentals, and you don't even have to be staying at the hotel. Park your boat outside the hotel (it costs $3 per foot, per night), and then head inside for grilled local seafood, or delicious steaks and pasta. 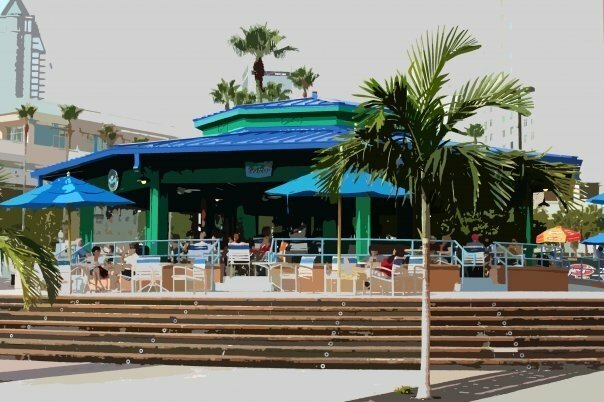 The Sail Pavilion is family-friendly restaurant by boat in Tampa during the day, and a fun Tampa boat bar by night, located at the south end of the Tampa Convention Center. Park your boat at one of the convention center's boat slips ($2 per hour, reservable online) and roll in for a 360-degree waterfront view, along with snacks, sandwiches, and a host of tropical drink options. Try the Gasparilla Gulp, with Bacardi, peach schnapps, grenadine, pineapple, and orange juice, or sample some of the local beers on draft. The hippest new place on Harbour Island, #AmSo has not only delicious dining (the cedar lank salmon and the chicken and waffles are both fantastic), but also turns into maybe the hottest bar in the 813 at night. If you're looking for great food, an extensive cocktail program, and a spot that turns into quite a party, there's no better place in the city. It's no dive bar, but as an upscale experience it's unparalleled in Tampa. And you can park your boat right outside the back entrance, which brings some of the most breathtaking views of the city to their doors. There's plenty of $14 lunch specials that include your beverage, and don't miss the sunsets here; they are almost as gorgeous as their Honeybell Mojito. Yet another downtown Tampa boat-friendly restaurant is the Columbia Cafe, next to the Tampa Bay History Center. 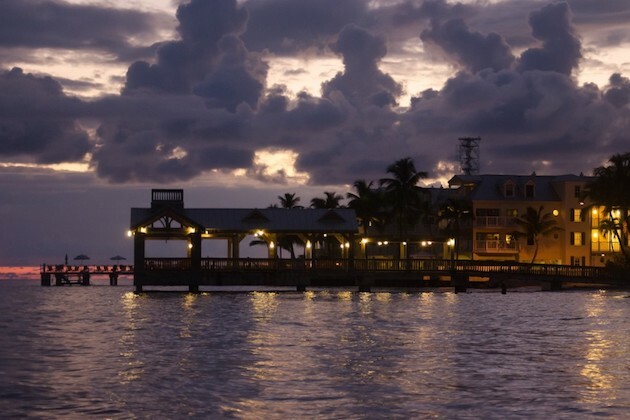 You can use any of the public boat slips at the east end of Cotanchobee Fort Brooke Park and walk right in to a scaled-down version of one of Tampa's most famous places, the Columbia Restaurant. Many of the classic menu items from Richard Gonzmart's Ybor City landmark can be found at Columbia Cafe. We bet you didn’t know you could bring your boat to Ulele... but you can! Leave your craft on one of the public boat slips at Water Works Park along the Hillsborough River, then make the short walk (about 100 yards) to Ulele for their outstanding seafood and native Florida cuisine, cooked up on their 10-foot barbacoa grill. 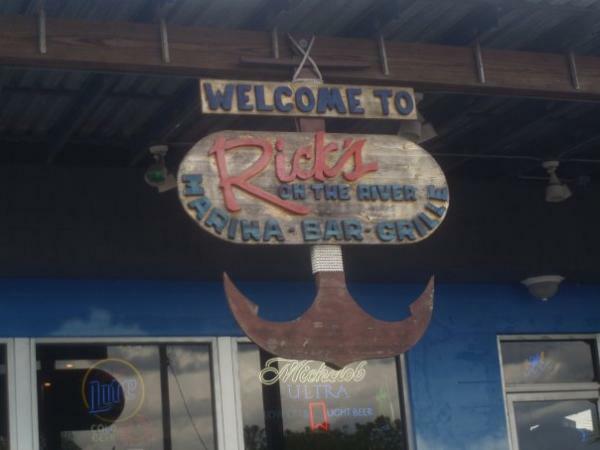 Rick's always has the biggest party on the Hillsborough River, and lots of space to cruise into shore and leave your boat. You can rent a slip for boats up to 50 feet long for either $1 per foot nightly, or $9 per foot monthly if you plan to be a Rick's regular. Inside, there's live music every night, a fresh oyster bar, plenty of cold beer and mixed drinks, plus lots of coastal bar favorites like chicken wings, burgers, sandwiches, and shrimp. 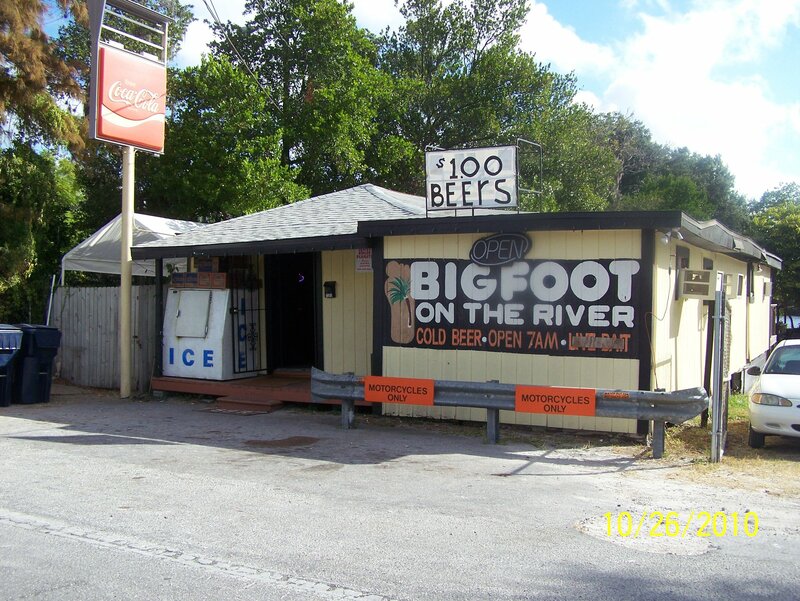 Bigfoot on the River is much different than every Tampa boat bar and restaurant on our list. It's further up the river in the Temple Crest neighborhood, around the corner from Rogers Park Golf Course. The Hillsborough River dam stops you from cruising up to Bigfoot from the south... and actually we're not sure if you can bring your boat here at all. But the property runs down right to the river and it looks like there's a dock at the end of it. Maybe call and ask first. 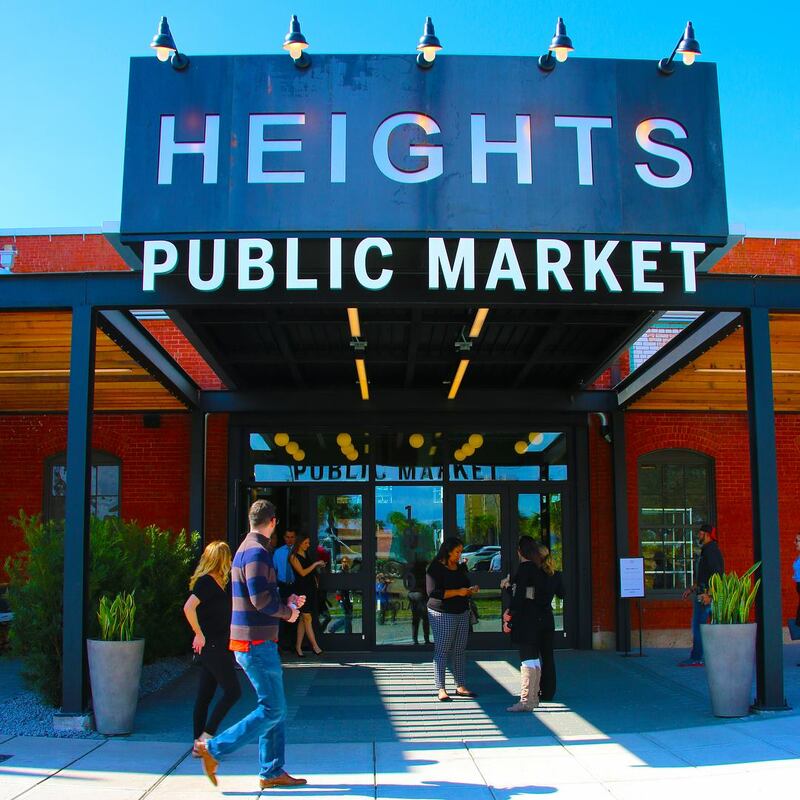 Inside, this is a no-frills neighborhood hangout. (Don't show up with your sailing dinghy and your nautical whites on.) There isn't a lot of food here, though you might get lucky with a buffet if a party's happening. Most importantly, though, the beer is cold and cheap, and there are traditional bar games like darts, pool, and a bowling machine. Located on a small inlet of Tampa Bay just south of Gandy Boulevard, Hula Bay has eight boat slips connected to their Hawaiian-themed paradise. Cruise up to the dock and head inside for tropical drinks like the Pineapple Upside Down Cake Martini, mojitos, and over 30 bottled beers. A full lunch and dinner menu offers a raw bar with oysters, shrimp, and ceviche, a huge sushi selection, Duke's Hawaiian fish sandwiches, beach tacos, and more. It can be a bit difficult to access the boat bars on Rocky Point, because you can't cross the Causeway until you go out into the open waters of Tampa Bay. But once you manage it, there's a pier right outside Beach Bar to leave your boat. Situated next to The Godfrey Hotel & Cabanas Tampa, Beach Bar is a 20,000-square-foot restaurant and entertainment venue, with delicious food for every meal of the day... even breakfast! Beach Bar offers Namaste Monday yoga sessions, karaoke Wednesday, and live music on Thursdays. Plus they always have something special lined up for big occasions (like their upcoming St. Patrick's Day event), and you can't beat the happy hour specials as the sun sets. Here's another Tampa boat bar and restaurant well worth the effort to get there by sea. Park out on one of the boat slips directly outside the building and come inside (or stay out on the patio) for Caribbean-themed dishes like the Taste of Jamaica or the Shrimp and Mahi Bowl. Match it up with one of Bahama Breeze's many cocktails, including frozen cocktails, island margaritas, and an assortment of premium rums and tequilas. A row of boat slips just south of the Tampa Grand Hyatt offer the chance to cruise up to another of Tampa's finest restaurants. Oystercatchers offers fantastic sunset views over the bay, plus a raw bar and delightful seafood creations to satisfy the most sophisticated diner. The Oystercatchers Lounge offers a cool-chic environment to see off another day, with lots of local beer on tap and delicious appetizers. Secure your boat on one of the slips reserved by Lands End Marina for restaurant patrons and walk over to Circles Waterfront for delectable seafood, beef, and lobster, plus cocktails and homemade desserts prepared by the restaurant owner's mother. There's even a five-course meal special already picked out for you! Eat inside the dining room or outside on the waterfront patio, or hang out on the tiki bar with live entertainment Friday night, Saturday night, and Sunday afternoon. Not quite ready to sail away, sail away, sail away? You can access all these restaurants by boat in Tampa, but there area also plenty of bars by land, too. 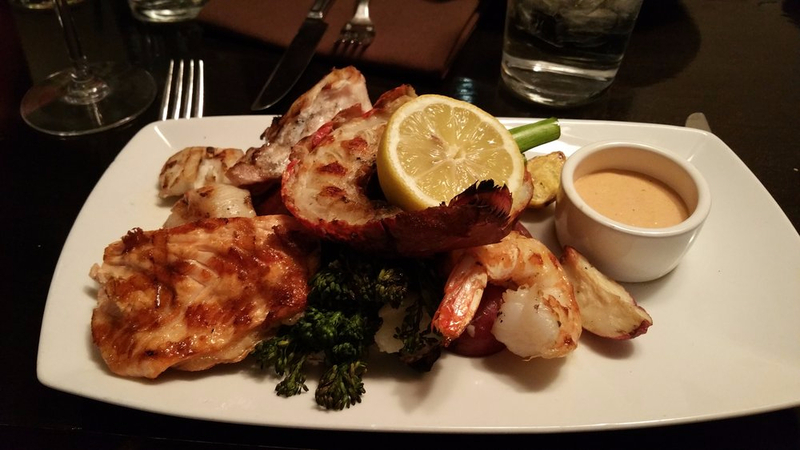 Find other places to eat or nightlife opportunities in Tampa on 813area. Sign up for those free email updates!